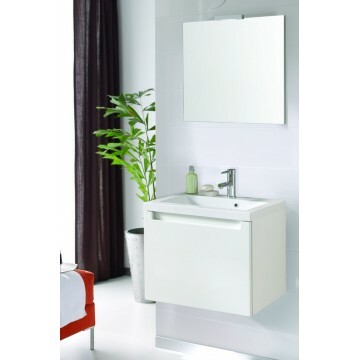 Wall mounted vanity with color and exchangeable inserts (located below sink countertop): white, anthracite and black. It gives you the opporunity to match the furniture with your bathroom. Mirror, acrylic top and soft close system included.